At the end of the summer, many people start to experience symptoms of ragweed allergy or hay fever. Above nasal symptoms such as sneezing and congestion, eye allergies can significantly impair one’s ability to go about one’s normal functions. 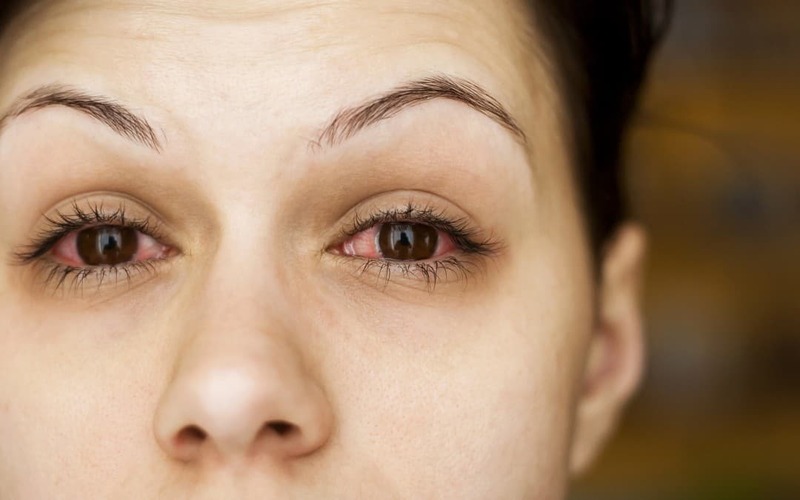 When suffering from allergies, the eyes can become itchy, swollen, and irritated and often sting or water. Vision can often be affected as well by blurriness or light sensitivity. These symptoms can make it so uncomfortable for allergy sufferers that they prohibit an individual’s ability to perform in work, school, sports and leisure activities. When an individual with allergies is exposed to an allergen he has a sensitivity to, the immune system sends out histamines to combat the ”invader”. This reaction by the oversensitive immune system results in typical allergic symptoms which include general symptoms as well as those related to the eyes. If you wear contact lenses, eye allergies can sometimes be exacerbated since contact lenses can often collect pollen. In addition, we tend to rub itchy eyes, which can result in even more discomfort for contact lens users. Use of artificial tears can sometimes reduce symptoms but many contact wearers decide to switch to glasses. If you wear contacts and experience fall allergies, you may want to consider a different brand of contacts, particularly if you don’t use daily disposables which minimize the likelihood of pollen collection. You don’t have to suffer from your contacts – schedule an appointment at our Miami Beach, FL eye care practice to discuss your condition. Check the area pollen count and stay indoors when counts are high, particularly at peak times such as midday. Close windows when possible, especially when driving. Clean floors with a damp mop instead of a broom which can often stir up rather than get rid of allergens. Eliminate mold in your home by keeping the house dry and using a dehumidifier if necessary. While over the counter medications and eye drops can sometimes help relieve symptoms, a prescription medication may be what you need. If this is the case, schedule an appointment with your eye care professional now to talk about your options and begin proper treatment. Our Miami Beach, FL eye care practice would be happy to help you in regaining your comfort this fall!